If you ever wonder what the world may look like in a few years with Nano bots flying through the sky. In perfect formation they could act as giant CO2 scrubbers, or even survey disaster sights for search and rescue. The possibilities are enormous but the sound will be much like a swarm of bees coming towards you. Have a look and see for yourself the work being done at the GRASP Lab, University of Pennsylvania. 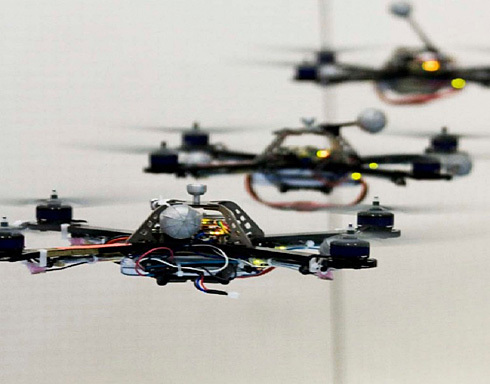 Quickly you can imagine a world filled with swarms of flying robots.